PEPLUM TV: Ultimate Most Wanted list! I've recently acquired tons of PEPLUM titles, some of which were on my 'Most Wanted List,' so I needed to update it. The list is even longer but here are the most important titles. FRINE CORTIGIANA D'ORIENTE - just added to my collection. 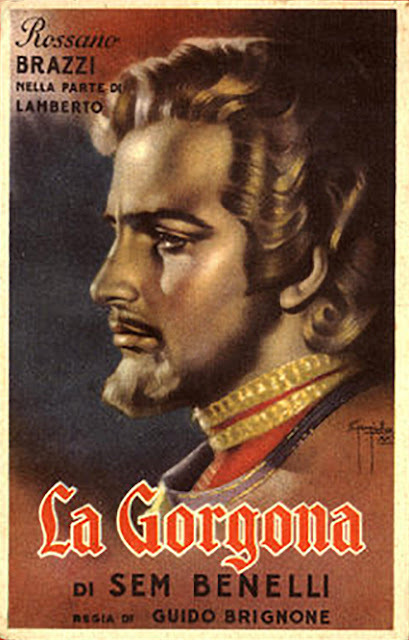 OK NERO (1951) - Gino Cervi - just added to my collection. NIGHT IN PARADISE - just added to my collection. LOVES OF HERCULES - I have this film, in several different versions, but I can’t make a Fan Dub with it since they made two different versions one for the European market and another for the American market. The English track of the American version simply doesn't match with the European/French/Italian versions so a Fan Dub is impossible without it being a confusing mess. The original widescreen version of the American version would be in order. **SABU AND THE MAGIC RING - This film is apparently considered 'lost'. "There was a color print, but by the time I inherited it, it had deteriorated beyond repair. I am happy that the B/W print survived, though. Allied Artists sold most of its prints to Warner Bros, so the color version is likely hiding in a vault in Burbank, CA, waiting to be released in the year 2100 or so." The B&W version uploaded at Youtube came from a private collection and has only been available since he uploaded to Youtube but before that it's been out of circulation for at least 57 years hence the reason why it's was considered lost. The color is still missing. Thanks to Joana for the update. REVOLT OF THE MERCENARIES - I thought I had this film but looking at my collection and I was shocked to see it wasn't there. This film has somewhat eluded me. Probably because I confused it with another one. THE GOLDEN FALCON starring Massimo Serato. There's a nice clip on Youtube but never came across it anywhere else. I have these films but would love to have them in their original widescreen format (it doesn't matter which language) uncut (all of the Ed Fury URSUS movies in widescreen are cut), and/or in a better print quality, or all three. 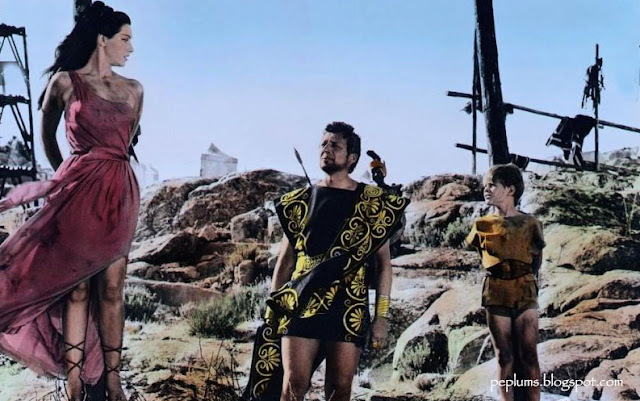 HERCULES (1958) - Uncut - the definitive version ; every version of this Pietro Francisci classic is different: the French version is different from the Italian. Both of those versions are different from the two US versions (Original release and TV version). So the true Director's cut is missing. HERCULES UNCHAINED - Uncut. Not one widescreen version out there is uncut. A definitive version would be great. SIGN OF THE GLADIATOR - Uncut - I have this in widescreen and English but the whole beginning is missing. Doing a Fan Dub would be possible with the uncut Italian widescreen print but the whole beginning would be missing the English dialogue which would be a pain to do. Why do they do this to PEPLUM fans like me? 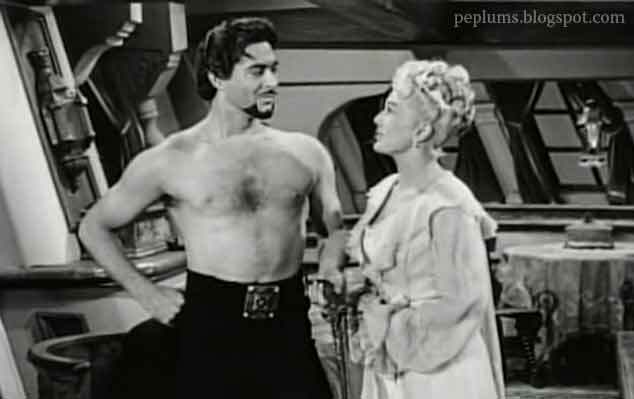 CAPTAIN KIDD & SLAVE GIRL - in Color ; I have this film but it's only available in Black & White even though it was shot in color. Apparently the color version is lost. CONQUEROR OF THE ORIENT - Widescreen (in any language) - just added to my collection. THE INVINCIBLE BROTHERS MACISTE - Widescreen (in any language) I have three version of this but none of them are true widescreen. LAST OF THE VIKINGS - I know there's a Fan Dub of this film out there but I still haven't found it. GOLIATH AND THE BARBARIANS - Better print - current prints are uneven at best. SECRET MARK D’ARTAGNAN - I have this in Italian with Greek subs only. I know there's a Fan Dub out there of this. SWORD OF THE EMPIRE - a nice copy but not from a TV broadcast like the one I have. And in English. THE BLACK PIRATES (1954) - better print. Current one is truly poor. SANDOKAN AGAINST THE LEOPARD OF SARAWAK - I have two copies of this but in Italian with Greek subs or Czech subs. So widescreen print with English audio would be great. THOR AND THE AMAZON WOMEN - I know there's a High Definition print of this in Italy but I don't have a DVD player for HD so I can rip it and play it on my computer. Many PEPLUM films from the 1970s and Sword & Sorcery films from the 1980s in good quality. Titles like NERONE or GUNAN in English would be cool. SAMSON AND THE MIGHTY CHALLENGE - I have 5 different versions of this film but on one of them in true widescreen format, for some reason this title in widescreen has eluded me ; I know there's an Italian DVD out there in widescreen but I haven't got hold of it yet. I have the following titles but would need their English, if it was released in English, or at least a working subtitles file. SIEGE OF SYRACUSE - Dub...where is it? ATTACK OF THE MOORS - working English dub ; I have it in English but it's a badly made Fan Dub which has the English track and the European track together. Weird. GODDESS OF LOVE - Dub or Sub; I've been trying to work on a Fan Sub of this title but the subtitles are not working. I have a beautiful widescreen copy of this so the English dub would be great for a Fan Dub but working subtitles would be cool too. I also have a subtitled version of this but the image is too poor and murky. MESSALINA (1951) - Dub or Sub - sub just added to my collection. KOLOSSAL - I MAGNIFICI MACISTI - is this documentary available anywhere? RAIDERS OF THE DESERT - English dub if it exists. I've made a Fan Sub of this but an English dub would be great. The image is also a bit too dark so a better print too. SAMSON AND THE SLAVE QUEEN - Working English Dub - I have a pristine widescreen copy of this (as ZORRO CONTRO MACISTE) and I have an English copy but the audio is so poor and so many scenes are missing that I've given up on doing a Fan Dub on this one. PHARAON - Working English subs. I have this and the subs just don't work. Michele Lupo’s SLAVE trilogy; I have subtitles for all these films but the English dubs are MIA. The movie itself is black and white, however. Pep Sabu and magic ring is not lost. It is in youtube. The B&W version uploaded at Youtube was from a private collection and has only been available since he uploaded to Youtube so yeah it's been out of circulation for at least 57 years hence the reason why it's been considered lost. I've update the list.